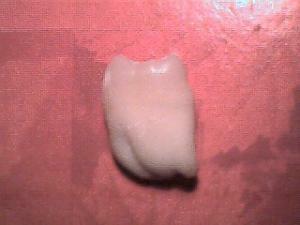 There are several possible reasons why wisdom teeth need to be extracted. Removal of wisdom teeth is necessary when there is not enough room in the jaw to accommodate all the teeth or if the tooth is impacted, stuck in the gums or erupted in an abnormal position. Wisdom teeth are removed in the extraction procedure that can be done by a dentist, or, more often, by an oral or dental surgeon. The procedure itself is not painful because it is done using a local anesthetic, but there is bound to be some pain afterwards. Still, no one needs to suffer through the pain as there are many ways to alleviate it and to make the recovery process as painless as possible. The procedure for extracting a wisdom tooth is done using the local anesthetic injected in the gums. In some cases, especially if more than one teeth is removed, total anesthesia can be used. The procedure itself is fairly simple and it takes anywhere from 20 minutes to an hour or two. The surgeon or the dentist makes an incision in the gums where the tooth is located and also cuts the bone covering the tooth. The tooth is then removed and the incision is closed with stitches. After the effect of the anesthetic subsides, the pain will set in. This kind of pain is usually not mild enough to be suffered without the help of pain killers or other pain remedies. There will also be some bleeding and swelling, which should subside in 24 to 48 hours after the procedure. In some cases small pieces of the bone will come out through the incision, which is normal and nothing to be worried about. Most dentists and oral surgeons recommend taking pain killers as soon as the anesthetic wears off, and continuing to take them for several days in regular intervals to avoid the pain altogether. This means that it is best to take an analgesic even before the pain starts. Drugs that can be used to relieve the pain after the wisdom teeth removal include over-the-counter non-steroidal anti-inflammatory medications like ibuprofen. Dentists sometimes also prescribe hydrocodone, oxycodone and codeine. Aspirin is not recommended because it acts as a blood thinner and can interfere with the formation of the blood clot at the incision site and it may cause more bleeding. Ice packs are recommended not only for the pain but to reduce swelling as well. Ice should not be applied unless it is wrapped in a towel or a cloth. There are also several natural remedies that can help with the pain. Placing a few fresh peppermint leaves around the wound for 15 to 20 minutes is believed to be very effective. Another good natural remedy is to place wet tea bags on the wound, especially black tea bags, which brings temporary relief. Clove oil, garlic cloves, cucumbers and salt water rinses are also recommended. Pain In Wisdom Teeth: What Next? What To Do About Toothache During Pregnancy? How many teeth extractions at once is too much? Are they any naturopathic alternatives for my dental problems?